Just in time for the 2017 CMA Music Festival, multi-platinum superstar duo Florida Georgia Line and LRC Group have announced June 5th as the grand opening of their first restaurant and entertainment destination, FGL House. Doors open to the public at 7 pm CT, setting the stage for a party that never ends in the heart of downtown Nashville’s neon-lit country music paradise. Standing on 120 3rd Avenue South, FGL House will be an entertainment playground unlike any other, providing visitors with four stories of vibey music, inspired food, and unforgettable good times. VIP membership packages are available online or at the FGL House front desk, allowing you and a guest to skip the lines outside and cruise right up to the bar with no waiting and no cover charge (exclusions apply). Members will also receive a special edition T-shirt, and at $100 annually or $250 for a lifetime pass, only a limited amount of VIP memberships are available. 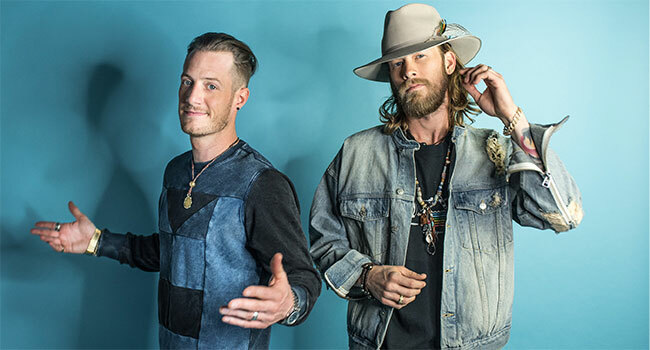 FGL Lifers – the duo’s new fan club – will receive a 20% discount on FGL House membership. Act fast in order to secure yours.